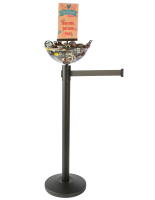 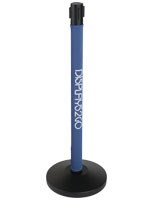 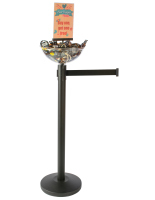 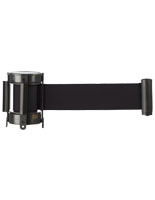 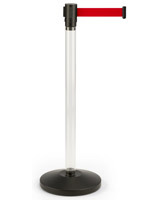 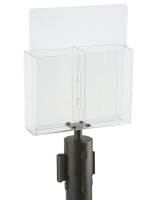 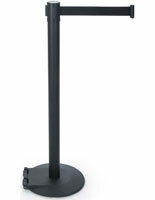 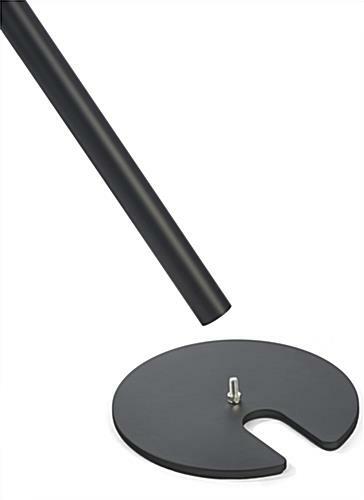 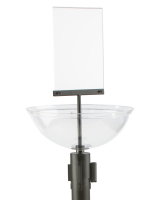 This black stackable stanchion is easily stowed away in storage when not in use. 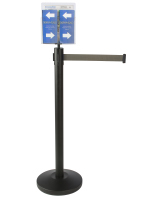 The crowd control post is ideal for banking centers, hotels, night clubs and many other locations in need of maintaining order in heavily trafficked areas. 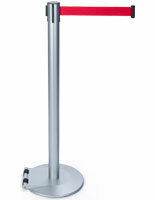 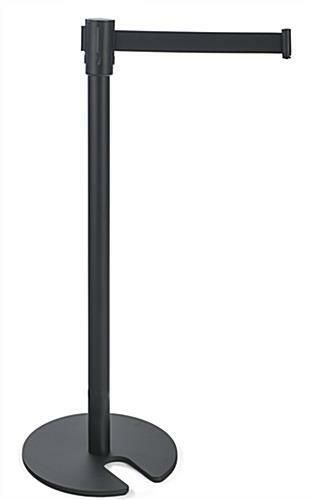 Each 41"h stanchion with a 6.5’ retractable belt which can connect to another post via the extendable band. 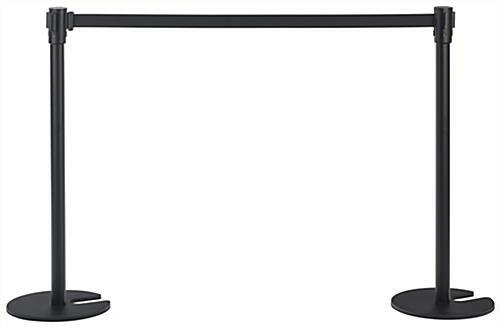 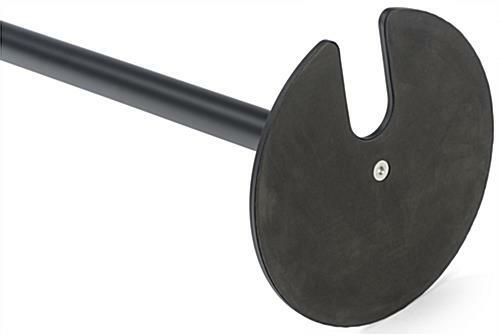 The crowd control barrier features a contemporary matte powder coated finish compatible with the color scheme of any environment. 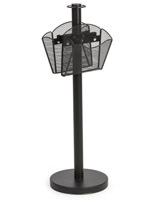 Traditional queue posts are bulky and take up a lot of room in storage areas when not in use. 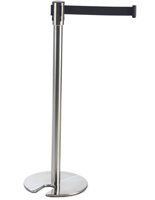 Featuring cutouts in the base of each unit, the stanchion available here can be easily grouped in multiples together, taking up much less floor space in your facility. 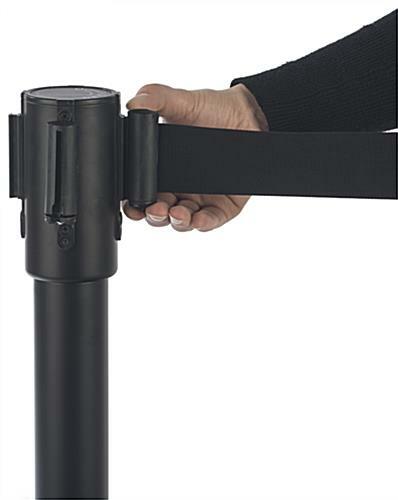 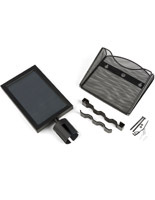 It is recommended not to extend the retractable belt beyond 6.5’ to ensure safety.